Tippetac is the hottest innovation in the fly fishing industry! or other implantable devices should avoid. Tippetac has essentially two functional elements; a rubber piece with the wedge and slit, and two super strong, rare earth neodymium magnets. Magnets – The magnets primarily function as an attachment mechanism. Place the rubber piece (with attached magnet) on the outside of your waders, jacket, pack etc. Place the separate magnet behind the material to attach Tippetac. We’ve found that placing it on the right side of the chest area (for right handers) works best. It also works great on top of a waist pack. Experiment until you find the place that works best for you. The magnets also function to temporarily hold flies. You will find it’s a great place to quickly store a fly or two as you change out your rig. Rubber Wedge and Slit – The wedge and slit were carefully designed to make it easy to slide your monofilament leader/tippet in and out without damage. 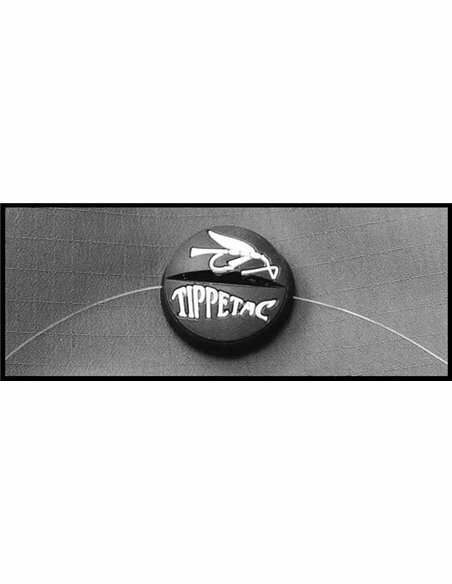 When you’re changing out a fly, just slide your leader/tippet into the slit of Tippetac before you clip it. Then, clip your fly and tie on a new one. 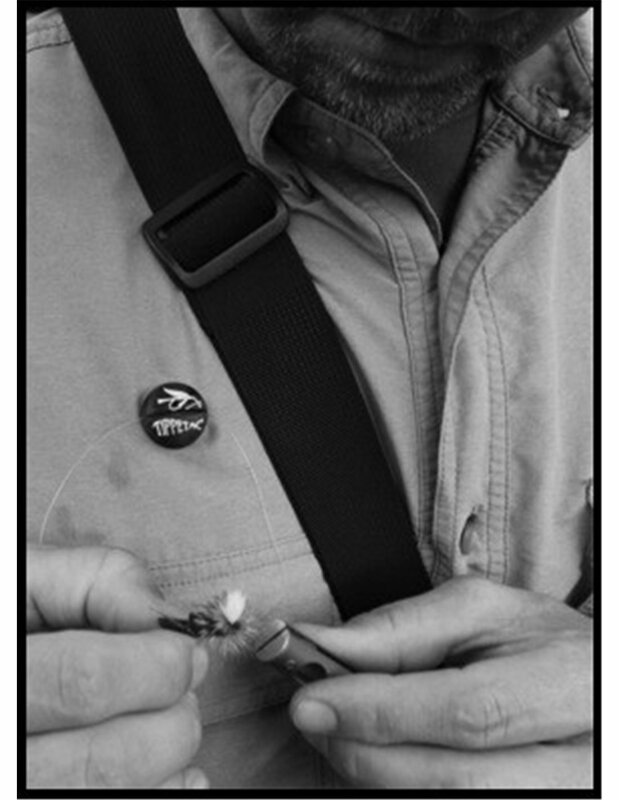 Tippetac keeps track of your line…hands free until you are ready to cast again. No more looking around for your line while the end floats 30’ down river. You can also use the slit to hold clipped tippet, double rigs, etc. Once you begin to use Tippetac, you’ll wonder how you ever managed without it! Patent Pending – The concepts and technology used in Tippetac are protected with a pending U.S. patent.